Czuba Durozier Castle, Hungary: photos, description, on the map. 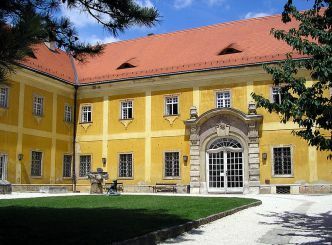 Czuba Durozier Castle in the south of Budapest is another former beautiful representative of the wine industry. Now a dilapidated building, that had lived through better times, rarely sees a tourist near its walls. But the castle should soon be restored, and then it will be able to please not only fans of abandoned buildings. Three-story building of the palace with several wings was built in 1884-1887. The creation of the architectural ensemble was commissioned by the French company Czuba-Durozier, the producer of sparkling wines. 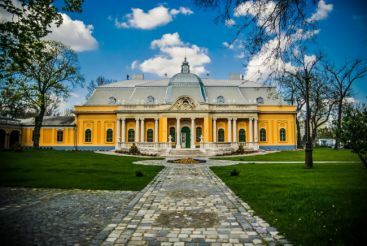 Soon they merged with Gyula Ulbrich, a well-known Hungarian entrepreneur in the brandy business. In the castle there is a factory, which in the beginning of the 20th century produced about 7500 hectoliters of beverages per year. But its prospering did not last long. First, in 1920, the French factory went bankrupt. A few years later, the Hungarian owner died, leaving no heir. The building was sold, and in 1950 it was overtaken by nationalization. Socialism did not spare a beautiful plant, and 32 rooms were first converted into 8, and then into 16 communal apartments. In 1990, there was a regime change, and after unsuccessful attempts to exploit the government sold it to the company Zengő Motorsport. When building the castle, an unknown architect was guided by the style of French Romanticism. 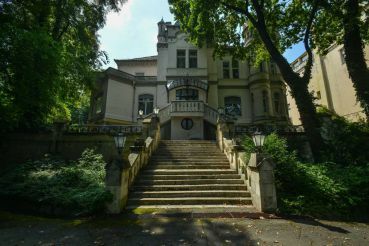 During socialism era, the mansion, especially its interior, was significantly ruined. Most of the ornaments were destroyed. Of the surviving – the coat of arms of the factory, statues of lions near the main entrance, forged gates, some friezes and bas-reliefs. A two-story wing opens on the Péter Pál utca, to the next street – one floor of the building. In the eastern part of the palace there is a three-story tower, which still contains traces of its former greatness. The windows of the main façade were made in the Neo-Renaissance style. The windows of the first floor are now barred to prevent vandalism. You cannot get inside. Once elegant exterior of the palace-factory is lost, now it is only a dim reflection of its former greatness. 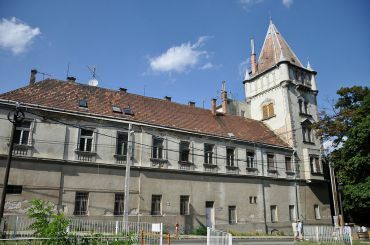 But, since now the castle is in the hands of a fairly wealthy private company, the building is going to be reconstructed. Bus, routes 33, 58, 114, 141, 158, 213, 214, 241, 250, 251. You need to get off at the Savoyai Jenőtér stop and walk for about 5 minutes.